How to Choose an Alarm Speech Dialer for Remotely Monitoring your Business. In today’s world where business owners need to look after penny, you need to know the product you buy is not only suitable for the task, but it will meet the needs of any insurance or regulatory bodies and it is value for money. First what is an Alarm Dialer? An Alarm Dialer is an electronic device that monitors signals\alarms\events and then when that signal changes will send a communication normally a voice message via the telephone network. The signals can be wide ranging from intruder systems, power failures, high/low temperatures, equipment failures etc. They are often used in remote or unmanned locations or when it is critical that an onsite event is communicated quickly. 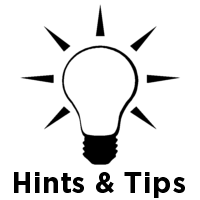 For example you might need to know that there is an intruder in a shop or a high temperature alarm in a poultry shed or that the drug research freezers have failed. Domestic alarm dialers normally have 1 to 4 separate inputs, they don’t include a battery backup and their components are not protected against the spikes or surges you might find on an industrial site. Industrial alarm dialers tend to have large ranges of separate inputs, with some reaching 56. Integrated battery backups are fitted as standard to protect against power cuts, surge protection and high grade electronics mean the units are repairable and are more reliant against electrical problems. They tend to have many advanced features that felicitate business users, such as automatically changing the telephone numbers to the person who is currently on call. In remote locations it may be cost prohibitive to have a land line fitted just for your alarm system or you might have reliability problems such as lines going down in the snow or high winds. If the system is for a high security premises then you might be worried about the land line being cut. In these cases a dedicated GSM Alarm Dialer would be appropriate. 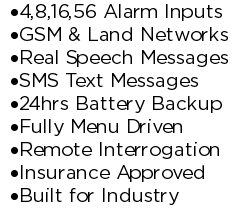 GSM Alarm dialers use the GSM Mobile/Cell phone networks to send alarm messages instead of the land line networks. Some more advanced dialers can use both the land line, and the gsm networks switching between the two as the need arises. If you have a large site with multiple alarms with varying degrees of importance then you should think about getting a multi channel Alarm Dialer. Multi channel machines tend to have more than 4 channels with some ranging up to 56. Each channel or input has its own individual speech message and visual indicator. This means when it phones you at 3 o’clock in the morning you can differentiate between the channels and make a decision of whether it can wait until the morning or if you need to rush in now. When you do arrive on site you can look at the front of the machine and see where on the site the fault lies. Remember if you don’t buy the right type of Alarm Dialer not only might you be left in the dark when an event occurs but you might not be covered by your insurance. For More Information on our Industrial M30 Emergency Alarm Dialler and how it can help protect your business, please Contact us or visit check out the M30 Alarm Dialler Standard Features and Alarm Dialler Optional Features Pages.